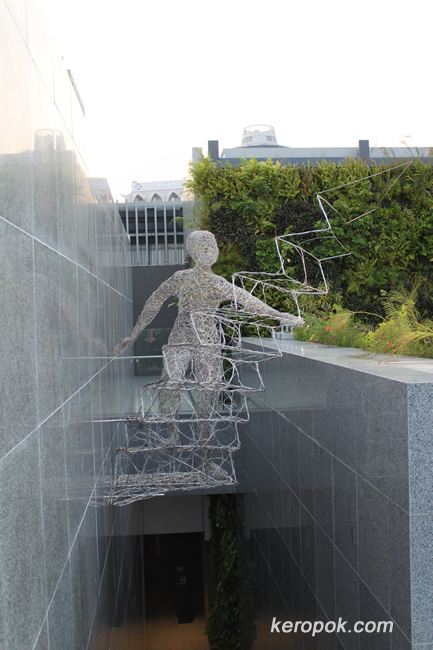 More art pieces are being displayed in open spaces in Singapore now. The little city is getting a more vibrant art scene! These photos were captured on the roof top of Orchard Central. 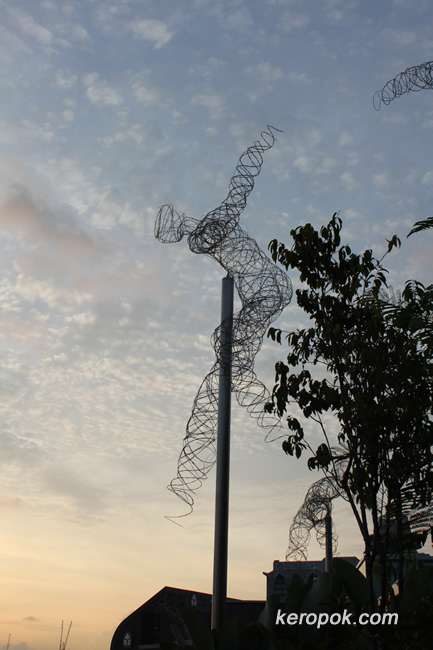 The sculpture is titled "The Stair, The Clouds and The Sky". 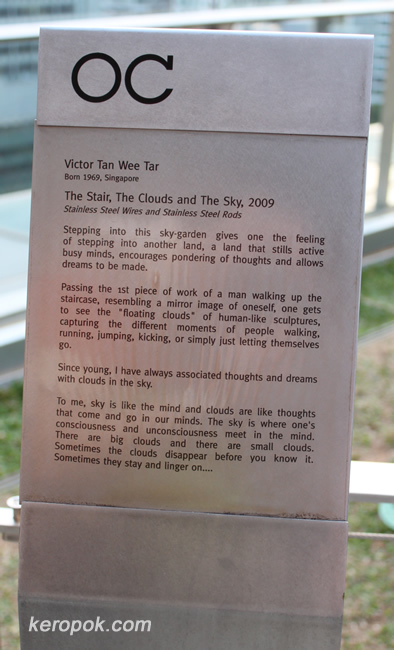 It's by Victor Tan Wee Tar. 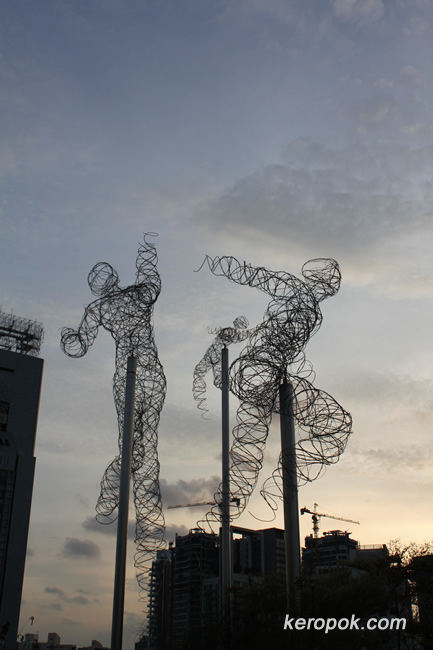 His works are characterized by the use of wires. you guy are lucky. at least you have a "scene" in singapore.. sniffle. I am sure KL has some 'scene'! hehe..